Hamas officials said that these fireworks were illegally smuggled through tunnels and said that they operate continuously in pursuit of prohibited goods entering Gaza through the tunnels. 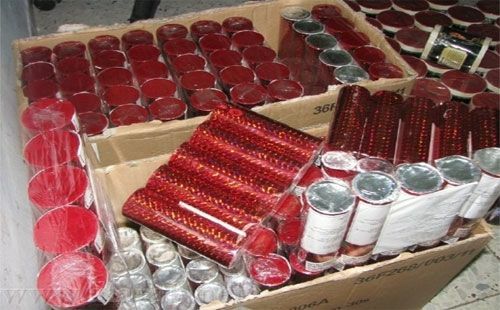 Yes, smuggled fireworks are considered dangerous contraband. Smuggled Katyusha rockets, anti-aircraft and anti-tank guns, however – even when they go to non-Hamas terrorists – are just fine. Molotov cocktails thrown at Israelis. Why don’t we know about it?